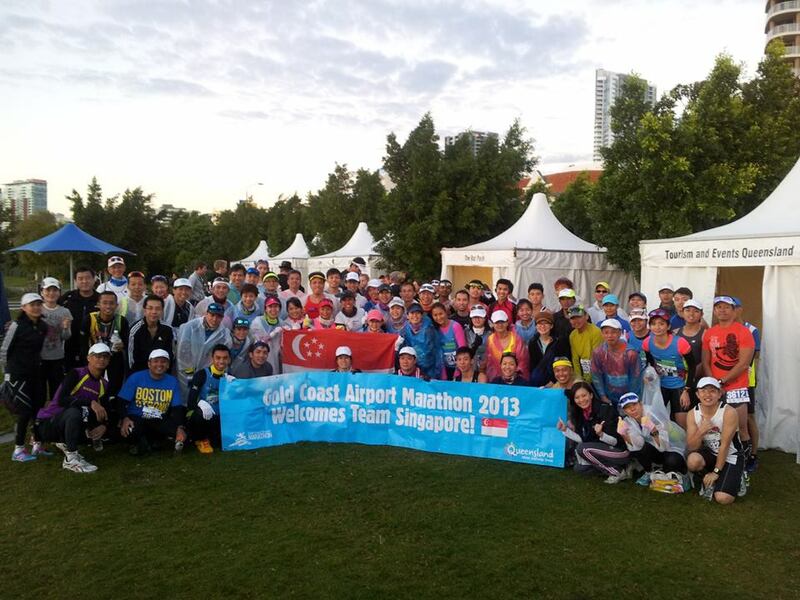 A record 355 runners from Singapore signed up for Gold Coast Airport Marathon (GCAM) 2013. 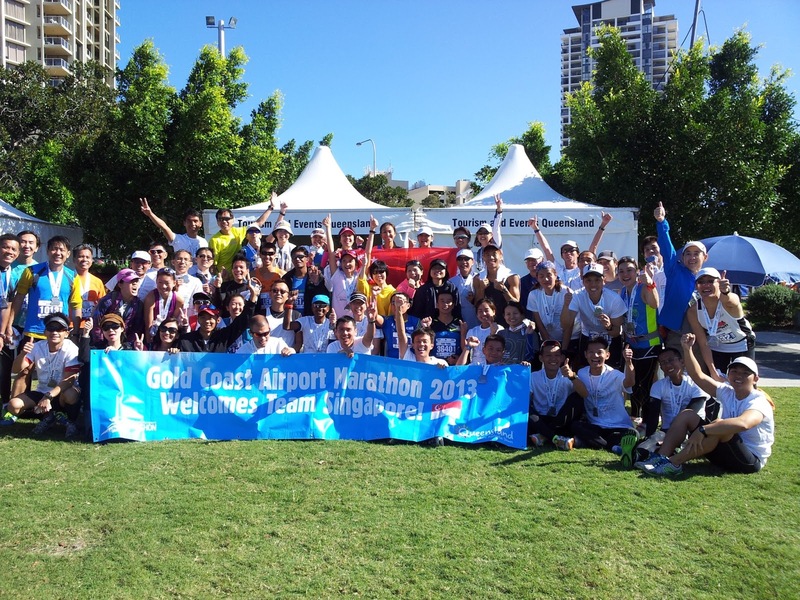 After the Japanese, Singapore was the second largest contingent represented at this IAAF bronze-label marathon race. This year, Team FatBird once again put together a 12-week Ops Kookaburra marathon training to prepare runners for this important overseas race, and a cool-weather one at that. 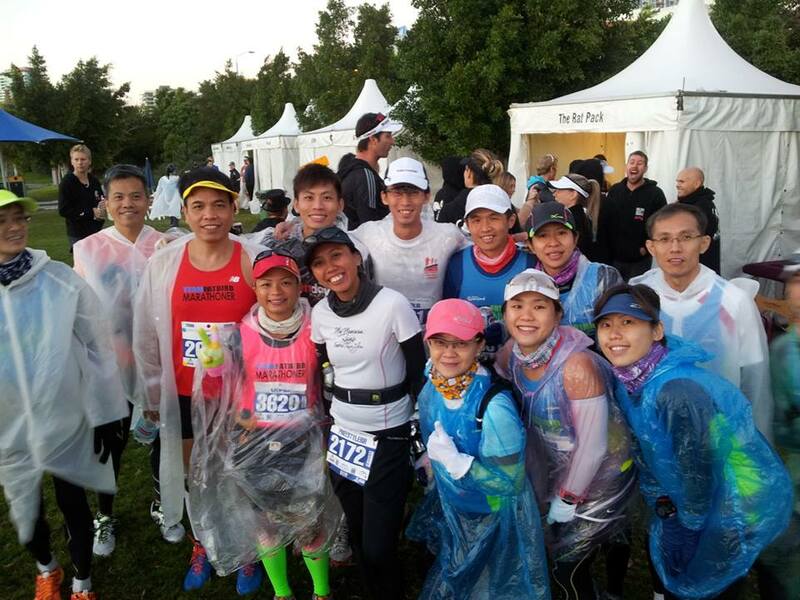 From as early as 6 months ago, we held lead-up runs, run briefings as well as pre-departure briefings to keep all Singapore runners up to speed on important preparations for the race. 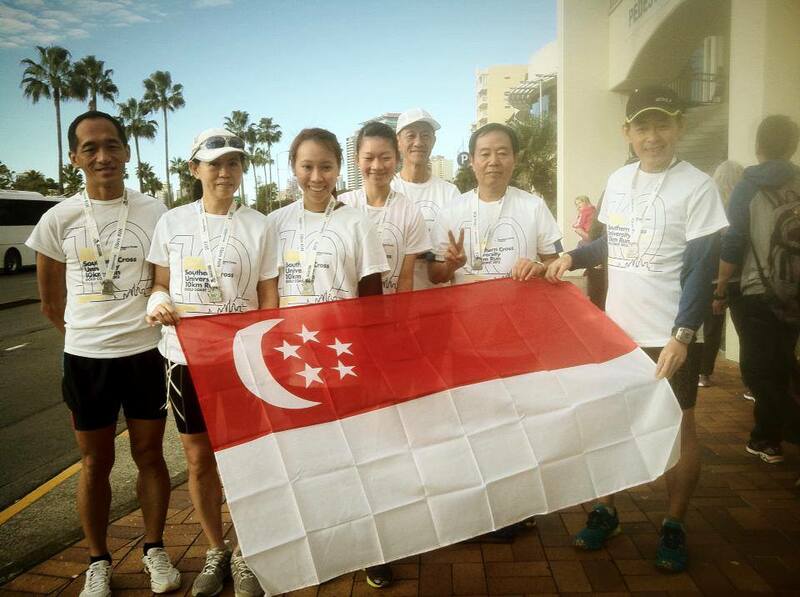 We had runners participating in the 10km category held on Saturday and the HM and FM categories on Sunday 7 July. 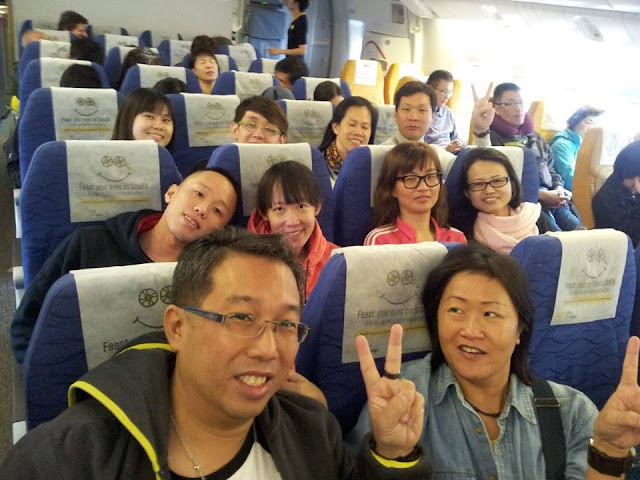 There were invited media accompanying the large group from Singapore to provide adequate coverage. 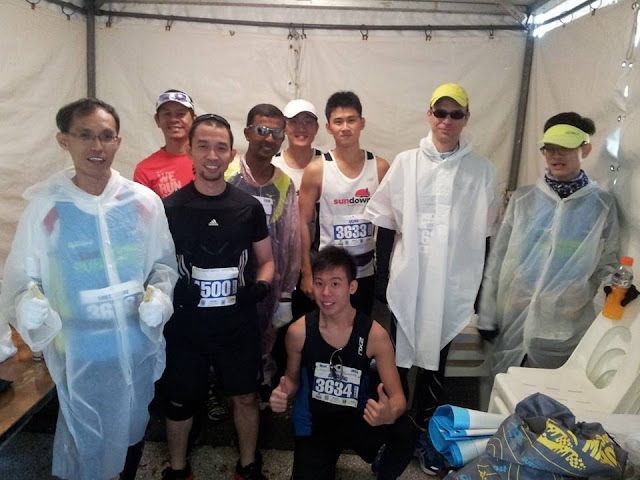 Many of the fastest Singapore Marathoners were also using the GCAM race to better their times and go for qualification of important regional competitions. Team FatBird marathoners, along with runners from other running clubs/groups, were all excited as many would be going to GCAM for the first time, all eager to outdo themselves to turn in stellar performances as many had done before them. 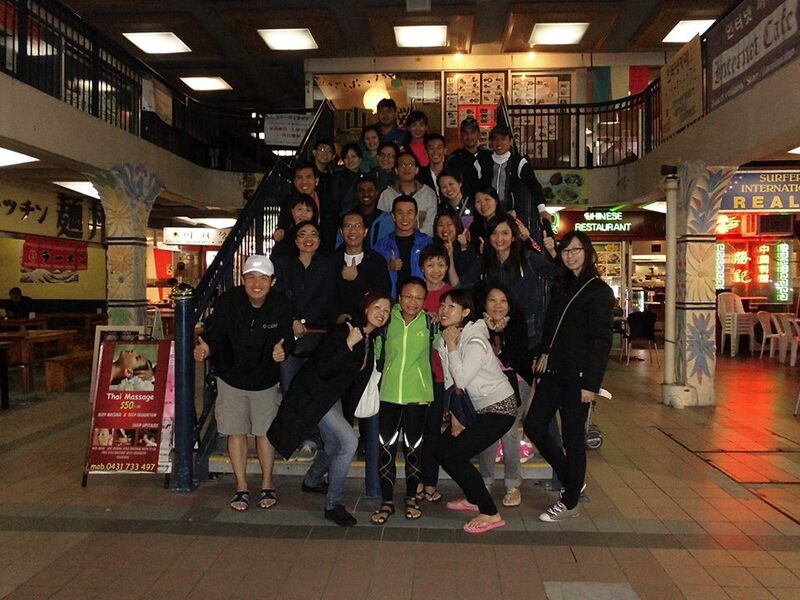 The main group departed on Thursday evening, and arrived to the GCAM Race Expo for a tour while waiting for group collection of race packs/bibs by the good people at Scenic Travel, our tour agent taking care of 150pax for this trip. The Race Expo was a good experience for many, coupled with good discounts and buys…many of us walked away with bags in our hands and gleeful smiles. The specially arranged Welcome Carbo-loading dinner for the Singapore team at Grand Chancellor Hotel was a pleasant one with very good seafood buffet topped with pasta and good Australian fare. 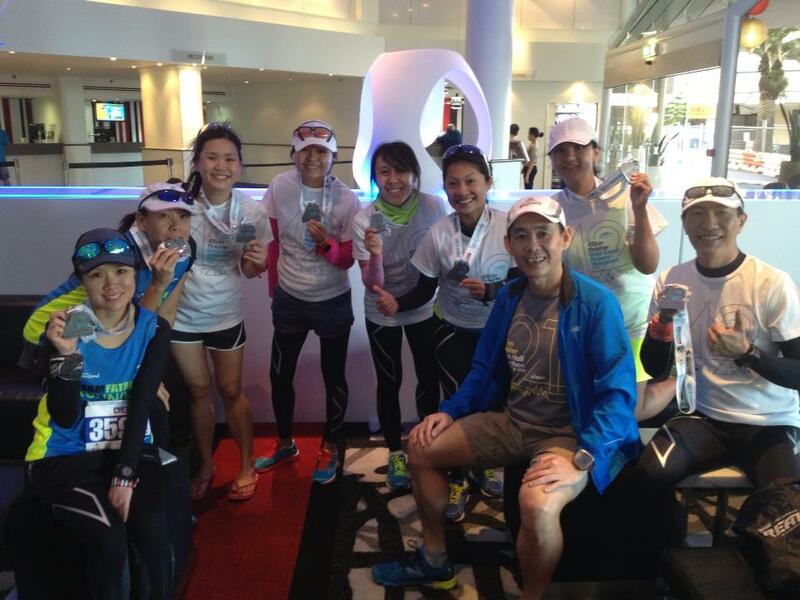 We enjoyed a warm round of bonding with familiar faces and getting to know new runners alike. 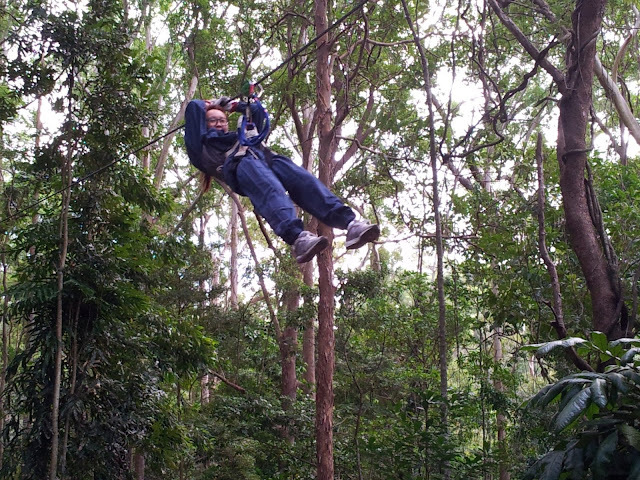 Thanks for making the arrangements, Tourism & Events Queensland (TEQ). 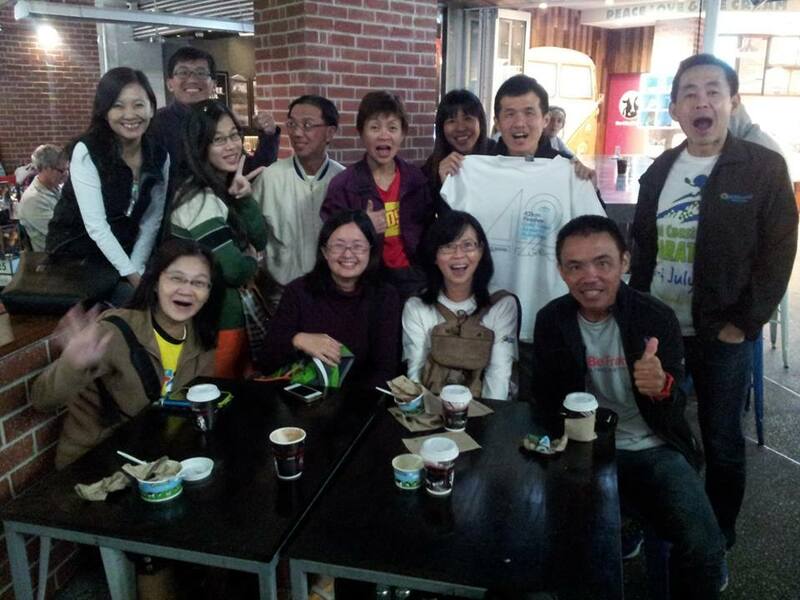 On early Saturday morning, a small group of about 15 set off for the 10km competitive and 5.7km fun run. One unique and welcomed arrangement at GCAM is the spread of the race over 2 days, leaving the main HM and FM races till Sunday, thus having good crowd control and avoiding any potential human jams or chokes along the running routes. All of us enjoyed a great Saturday outing with our families and friends who were beginners but yet got to experience the marathon experience with us. Some of us even scored PBs for the 10km race because of the cool weather and conducive atmosphere. We all got back to the hotel by 9:00am in time for the sumptuous breakfast and sharing of our race experiences of the morning. Sunday morning was where the big races were. The Half Marathon (HM) runners got up extra early for the 6:30am start at SouthPort Ave. The temperature of about 14C was reasonably good, although some of the newbies found it a tad chilly. Still, the weather warmed up nicely once the race began, and as per the established running culture in Australia, every runner was running seriously towards their objectives, guided by the established Pace Runners. The course which included the other side of the FM route was gentle giving our tropical runners a good chance of breaking their personal bests, which many did eventually 1.5-2.5hrs later. 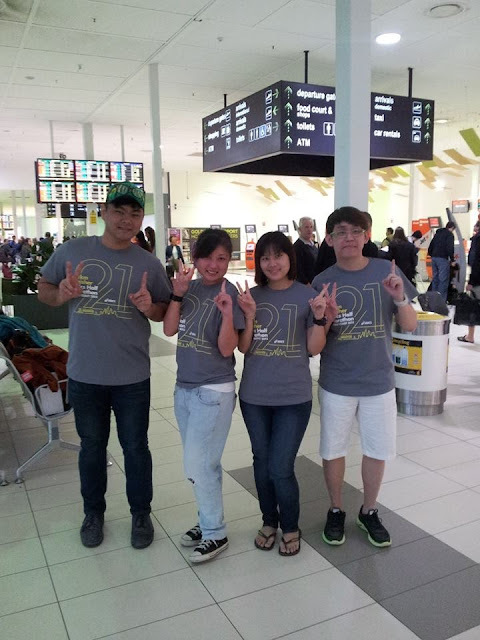 The finisher tee (given out only when we complete the race) was a nice grey shade, plus the medal in the shape of the numbers ’21’ was unique as it was elegant, befitting of international race standards. The Full Marathon (FM) group, which numbered 250 or more from Singapore, started at 7:20am in the reverse direction of SouthPort Ave. We had many top marathon runners from home looking to beat their personal bests with the top few eyeing places in the SEA games – eventually, Mok Ying Ren did a personal best of 2:26 to establish a PB as well as qualify for Sea Games. Ashley Liew also did very close to PB at 2:35, Derek Li at 2:45, Thow Wee with a PB of 2:53, Wen Long at 2:57…together taking the top 5 Singapore runners to go below 3hr at GCAM. 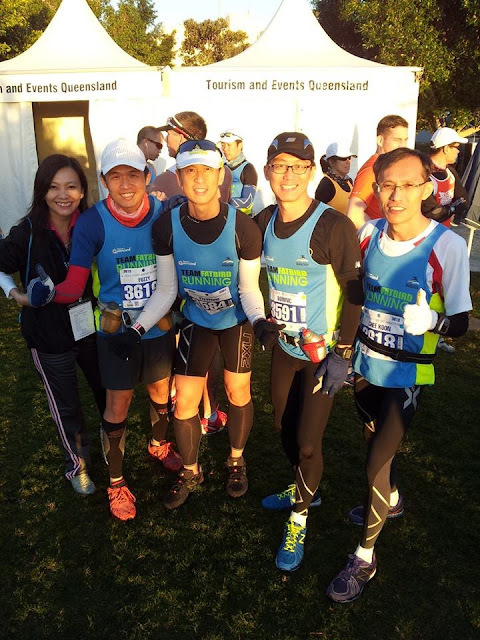 The FatBird runners and Kookaburra trainees did extremely well with a high percentage of easily 70% establishing PBs of sub-4h and sub-5h timings. The great weather allowed many to push beyond what they were capable of back in Sunny Singapore…some were able to sustain the good paces all the way, while a few learnt quickly that the paces were too strong to be brought past the 26-28km marks…still, the good buffer built up in the first part of the race enabled most to do PBs of good margins even in spite of the lack of experience racing in fast paces. 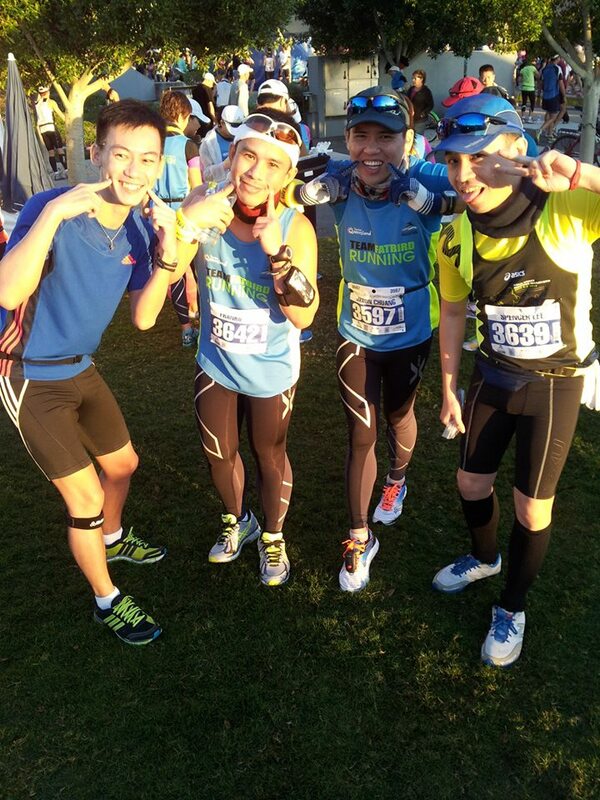 Many of our runners reported that they were most impressed with the running culture at GCAM, with runners walking leisurely and not being too interested, non existent at all. 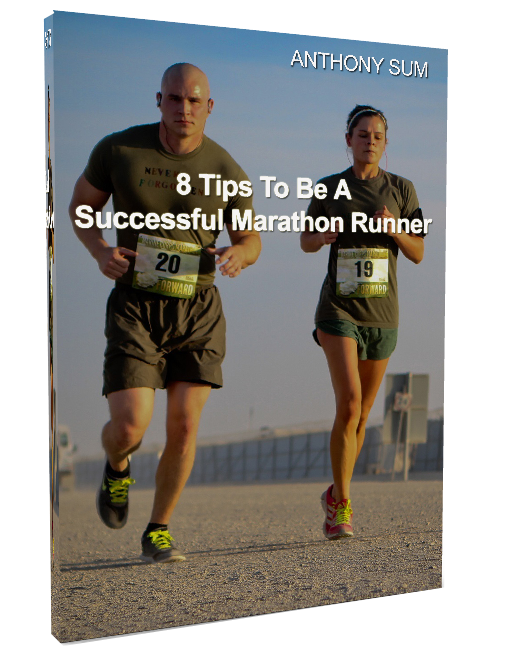 Every runner was focused on completing the marathon in good form, and the respect for fellow marathoners and the marathon distance was very evident in their behavior and approach to the race. 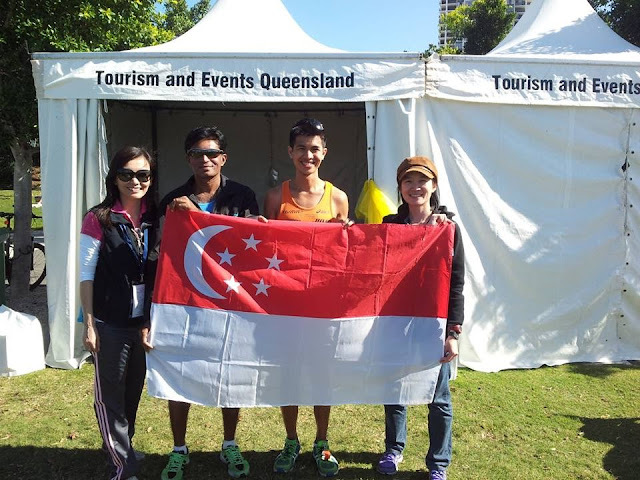 There was a large gathering of the Singapore Runners at the TEQ tent post-race to share and congratulate one another for their good performances, take photos and basking in the warmth of the sun on the open field just in front. From a short distance was the giant screen showing the race (still ongoing) and gathering of thousands to visit the sponsors and corporate tents or collect baggage. It was a very well organized with neat layout at the Race Site. Lots of cameras and smartphones clicking finisher photos of jubilant runners in finisher tees and proudly donning their finisher medals. 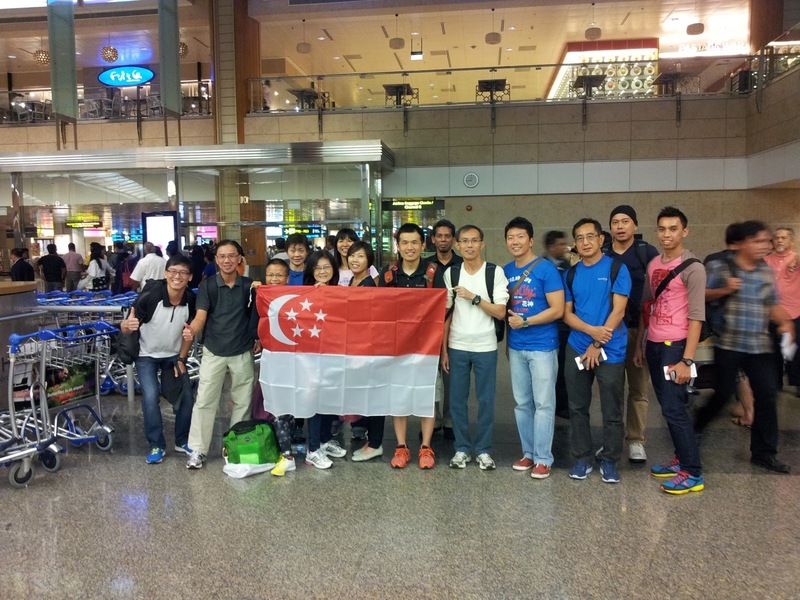 A group photo of Team Singapore was taken at 12:30pm with a record turnout this year. 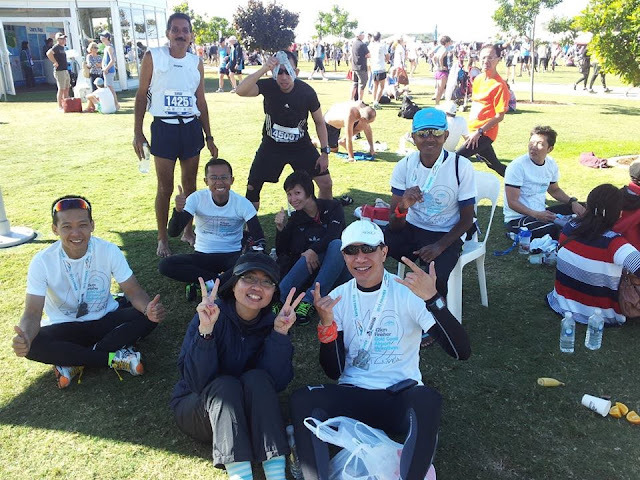 It was indeed a successful marathon event for all our runners and a proud moment for Team FatBird and TEQ in seeing many of them achieve good performances after the 12 weeks of Kookaburra training. 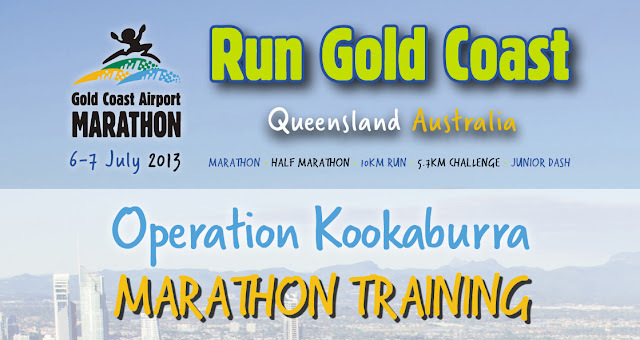 The brilliant smiles and hearty laughter showed that only only did we ran very well, we have also thoroughly enjoyed the outstanding race atmosphere at experience that is so uniquely Gold Coast Airport Marathon. 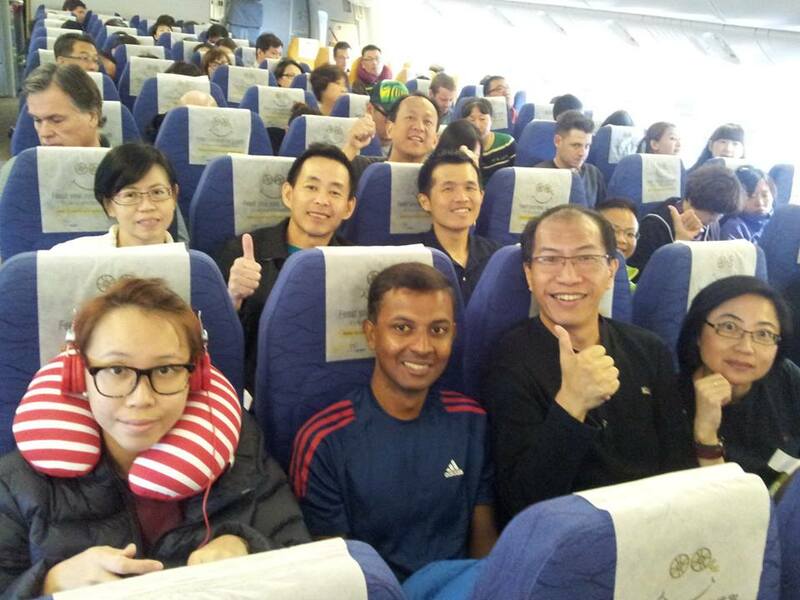 Scoot which was the main carrier for many in our team supported the experience well with in-flight contests and post-race photo competitions which will see runners winning flights and race participation to GCAM 2014. 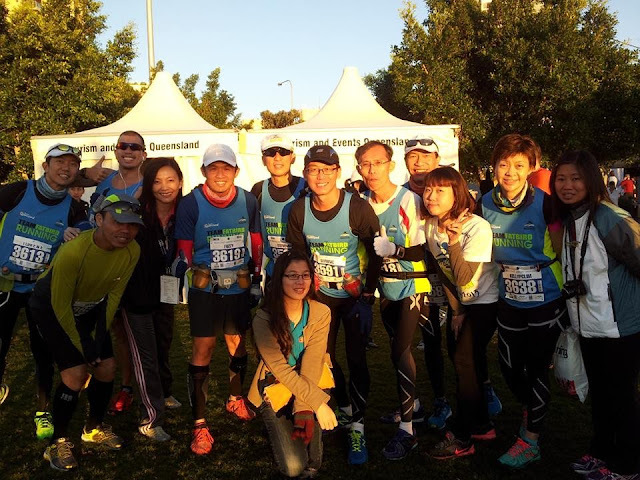 Team Scoot also sent in good participation to race both the 10k and HM on consecutive weekend days – they surely have a strong team of runners – Get Outta Here (and Run)! An earlier group left on Monday while the larger group departed on Wednesday for home, and judging from the comments and feedback from Team Singapore, the GCAM was one race and experience that will stay with many of us for a long time to come…already, many are looking at bettering themselves at GCAM 2014, with many new ones looking to join in for that Golden experience they have heard so much about. GOLD Your Race Has Been! 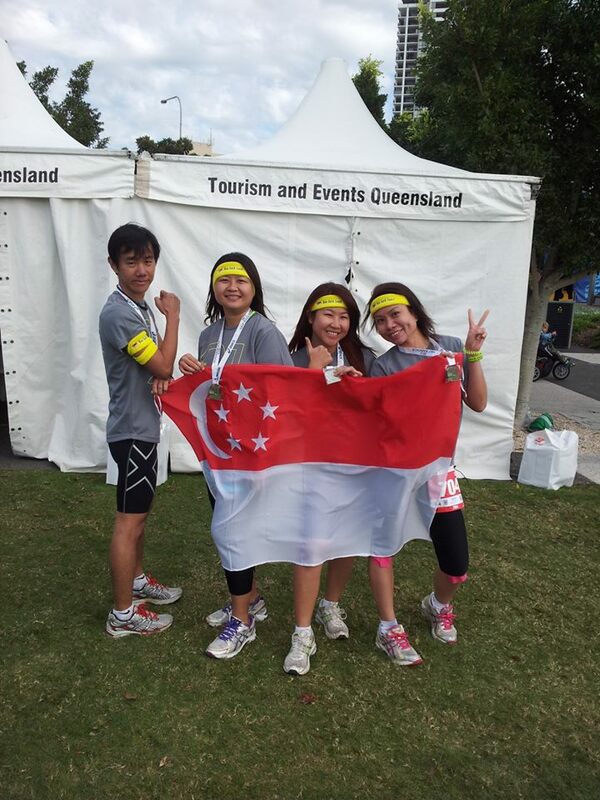 Congratulations to Team Singapore on your outstanding performances at the GCAM 2013. 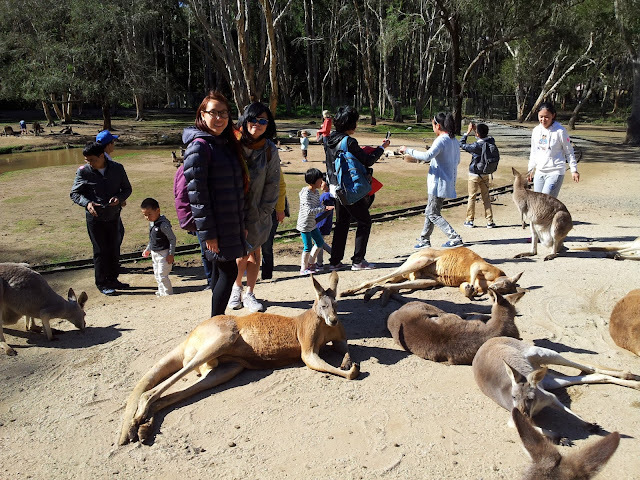 We look forward to seeing more of you at GCAM 2014.